In response to the growing threat that online hate and harassment pose to free expression, PEN America has developed a first-of-its-kind digital toolkit, the ONLINE HARASSMENT FIELD MANUAL, based on extensive research and interviews with writers, journalists, technology experts, editors, newsrooms, and advocacy groups. 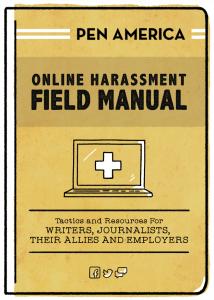 The Field Manual is specifically tailored to equip writers and journalists, as well as their allies and employers, with practical strategies and comprehensive resources for defend against online harassment. PEN America also offers training sessions, based on the Field Manual’s content, for writers and journalists, legal professionals, allies, and employers. In fall 2017, PEN America conducted a survey of writers and journalists to assess the impact of online abuse on their professional and personal lives, their health and wellness, and their ability to express themselves freely. The survey found that, of those who had experienced online harassment, two-thirds reported a severe reaction, including refraining from publishing their work, permanently deleting their social media accounts, and/or fearing for their safety or the safety of their loved ones. More than one third reported avoiding certain topics in their writing as a result of online harassment. Studies have shown that women, people of color, and LGBTQ+ individuals are more likely to experience severe forms of online harassment, which risks excluding voices that urgently need to be heard in public discourse. To learn more about online harassment as a free expression issue, check out our blog, “Writers and Online Harassment: Evidence of a Chilling Effect,” also featured in the Columbia Journalism Review. Our training sessions build on the Field Manual’s content to arm writers, journalists, their allies, and their employers to defend against online harassment. While there are no easy answers, candid conversations about the impact of online abuse and how to fight back can empower writers and journalists to remain online and continue exercising their free expression rights however they choose. Trainings are tailored to the needs of the audience and available for professional associations of writers and journalists, news outlets, publishers, journalism schools and MFA programs, legal organizations, and other organizations serving creative and media professionals. 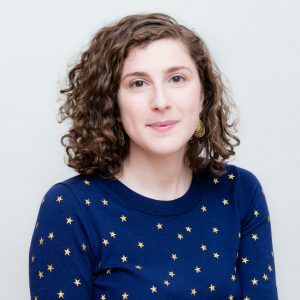 If you are interested in hosting a training, please contact Viktorya Vilk, PEN America’s Manager of Special Projects, Free Expression, at [email protected].